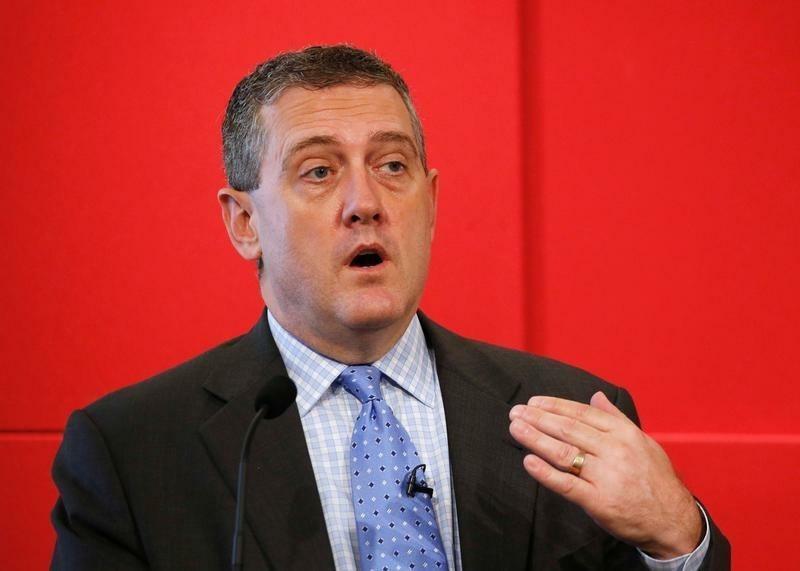 SEOUL (Reuters) - St. Louis Federal Reserve President James Bullard said on Monday global markets appear to be "well-prepared" for a summer interest rate hike from the Fed, although he did not specify a date for the policy move. "My sense is that markets are well-prepared for a possible rate increase globally, and that this is not too surprising given our liftoff from December and the policy of the committee which has been to try to normalize rates slowly and gradually over time," Bullard told a news conference after speaking at an academic conference in Seoul. "So my ideal is that if all goes well this will come off very smoothly." Bullard added a rebound in U.S. GDP growth seems to be materializing in the second quarter, but reserved his opinion on whether the Fed should hike in June or July for the next policy meeting at the U.S. central bank. His comments followed revised data on Friday that showed first quarter growth in the U.S. was not as weak as initially expected. Answering a question on whether he thought U.S. presidential candidate Donald Trump would bring change to monetary policy if elected, Bullard said the Fed was independent and did not follow any particular political prescription. "I don't think a change in the White House either way will affect Fed policy," he said. "My hope is that neither campaign is interested in politicizing the Fed." Meanwhile, Bullard noted he had been critical of the Fed's "dot plot" summaries of policymakers rate outlooks recently, saying they may be giving too much forward guidance, removing the Fed's ability to make data-dependent decisions. The dollar rallied against Asian currencies early on Monday after the revised GDP data and on Fed Chair Janet Yellen's comments on Friday that a rate hike in the U.S. in coming months would be appropriate. The Korean won extended losses after Bullard's comments, trading down 0.9 percent against the dollar as of 0142 GMT (09:42 p.m. EDT).